As the New Year rolls around, it’s always a sure bet that there will be changes to current tax law and 2018 is no different now that many of the tax provisions pursuant to the Tax Cuts and Jobs Act of 2017 (TCJA) are in full effect. From health savings accounts to tax rate schedules and standard deductions, here’s a checklist of tax changes to help you plan the year ahead. In 2018, the standard deduction increases to $12,000 for individuals (up from $6,350 in 2017) and to $24,000 for married couples (up from $12,700 in 2017). In 2018, AMT exemption amounts increase to $70,300 for individuals (up from $54,300 in 2017) and $109,400 for married couples filing jointly (up from $84,500 in 2017). Also, the phaseout threshold increases to $500,000 ($1 million for married filing jointly). Both the exemption and threshold amounts are indexed for inflation. Self-only coverage. For taxable years beginning in 2018, the term “high deductible health plan” means, for self-only coverage, a health plan that has an annual deductible that is not less than $2,300 (up $50 from 2017) and not more than $3,450 (up $100 from 2017), and under which the annual out-of-pocket expenses required to be paid (other than for premiums) for covered benefits do not exceed $4,550 (up $100 from 2017).Family coverage. For taxable years beginning in 2018, the term “high deductible health plan” means, for family coverage, a health plan that has an annual deductible that is not less than $4,550 and not more than $6,850 (up $100 from 2017), and under which the annual out-of-pocket expenses required to be paid (other than for premiums) for covered benefits do not exceed $8,400 (up $150 from 2017). In 2018, the deduction threshold for deductible medical expenses is temporarily reduced to 7.5% percent of adjusted gross income (AGI). This is retroactive to the tax year starting Jan. 1, 2017 and ends on Dec. 31, 2018. For 2018, the foreign earned income exclusion amount is $103,900, up from $102,100 in 2017. In 2018 tax rates on capital gains and dividends remain the same as 2017 rates (0%, 15%, and a top rate of 20%); however threshold amounts are different in that they don’t correspond to new tax bracket structure as they did in the past. For taxpayers in the lower tax brackets (10 and 12 percent), the rate remains 0 percent; however, the threshold amounts are $38,600 for individuals and $77,200 for married filing jointly. For taxpayers in the four middle tax brackets, 22, 24, 32, and 35 percent, the rate is 15 percent. For an individual taxpayer in the highest tax bracket, 37 percent, whose income is at or above $425,800 ($479,000 married filing jointly), the rate for both capital gains and dividends is capped at 20 percent. For an estate of any decedent during calendar year 2018, the basic exclusion amount is $11.18 million, indexed for inflation (up from $5,490,000 in 2017). The maximum tax rate remains at 40 percent. The annual exclusion for gifts increases to $15,000. In 2018, a non-refundable (only those individuals with tax liability will benefit) credit of up to $13,810 is available for qualified adoption expenses for each eligible child. For tax year 2018, the maximum earned income tax credit (EITC) for low and moderate income workers and working families rises to $6,431, up from $6,318 in 2017. The credit varies by family size, filing status, and other factors, with the maximum credit going to joint filers with three or more qualifying children. The Child and Dependent Care Credit also remains under tax reform. If you pay someone to take care of your dependent (defined as being under the age of 13 at the end of the tax year or incapable of self-care) in order to work or look for work, you may qualify for a credit of up to $1,050 or 35 percent of $3,000 of eligible expenses in 2018. For two or more qualifying dependents, you can claim up to 35 percent of $6,000 (or $2,100) of eligible expenses. For higher income earners the credit percentage is reduced, but not below 20 percent, regardless of the amount of adjusted gross income. Under the Tax Cuts and Jobs Act of 2017, the Section 179 expense deduction increases to a maximum deduction of $1 million of the first $2,500,000 of qualifying equipment placed in service during the current tax year. Indexed to inflation after 2018, the deduction was enhanced to include improvements to nonresidential qualified real property such as roofs, fire protection and alarm systems and security systems, and heating, ventilation, and air-conditioning systems. For taxable years beginning in 2018, the dollar amount of average wages is $26,600 ($26,200 in 2017). This amount is used for limiting the small employer health insurance credit and for determining who is an eligible small employer for purposes of the credit. The deduction remains at 50% for taxpayers who incur food and beverage expenses associated with operating a trade or business. For tax years 2018 through 2025, however, the 50% deduction expands to include expenses incurred for meals furnished to employees for the convenience of the employer. Amounts after 2025 are not deductible. Under the TCJA, in 2018, office holiday parties remain 100% deductible. Employee meals while on business travel also remain deductible at 50%. For tax years 2018 through 2025; however, the 50% deduction expands to include expenses incurred for meals furnished to employees for the convenience of the employer. Amounts after 2025 are not deductible. Further, the deduction for business entertainment expenses is eliminated (only meals at 50%). Sole proprietorships. Sole proprietorships that file Schedule C and partnerships filing Schedule K-1 with Form 1040 also will be asked to provide additional information items, such as a driverâ€™s license number. Providing this information will help the IRS and states identify suspicious business-related returns. 1. Payments you receive from your Individual Retirement Arrangement before you reach age 59 1/2 are generally considered early or premature distributions. The due date for certain entities to provide 2017 health coverage information forms to individuals in 2018 has been extended. Insurers, self-insuring employers, other coverage providers, and applicable large employers now have until March 2, 2018, to provide Forms 1095-B or 1095-C to individuals, which is a 30-day extension from the original due date of January 31, 2018. Due to these extensions, some individuals may not receive their Forms 1095-B or 1095-C by the time they are ready to file their 2017 individual income tax return. However, while information on these forms may assist in preparing a return, the forms are not required to file a 2017 tax return. Taxpayers do not have to wait for Forms 1095-B or 1095-C to file. Instead, they can prepare and file their returns using other information about their health coverage. Don’t hesitate to call if you have any questions about extended due dates for employers and providers that issue Health Coverage Forms to individual taxpayers in 2018. Safe harbor methods are used by individual taxpayers when determining the amount of their casualty and theft losses for their homes and personal belongings. Four of the safe harbor methods may be used for any qualifying casualty or theft loss, and three are specifically applicable only to losses occurring as a result of a Federally declared disaster. For instance, one of the safe harbor methods allows a homeowner to determine the amount of loss, up to $20,000, by obtaining a contractor estimate of repair costs. Another safe harbor method allows a homeowner to determine the amount of loss resulting from a Federally declared disaster using the repair costs on a signed contract prepared by a licensed contractor. The guidance also provides a handy table for determining the value of personal belongings damaged, destroyed or stolen as a result of a Federally declared disaster. Under the safe harbor method individuals may use one or more cost indices to determine the amount of loss to their homes as a result of Hurricane and Tropical Storm Harvey, Hurricane Irma and Hurricane Maria (2017 Hurricanes). The cost indices provide tables with cost per square foot for Texas, Louisiana, Florida, Georgia, South Carolina, Puerto Rico and the U.S. Virgin Islands (2017 Disaster Area). These safe harbor methods are effective on Dec. 13, 2017, for losses that are attributable to the 2017 Hurricanes and that arose in the 2017 Disaster Area after August 22, 2017. IRS Publication 547, Casualties, Disasters, and Thefts provides more information on casualty and theft losses. Taxpayers can explore claiming these losses by filing an original or amended return for Tax Year 2016 or using the new revision of the 2016 Form 4684. Questions about navigating casualty loss issues? Help is just a phone call away. The Surface Transportation and Veterans Health Care Choice Improvement Act of 2015 (Surface Transportation Act) changed the date by which a partnership, real estate mortgage investment conduits (REMICs), or other entity must file its annual return. For calendar year filers, the due date for filing the annual return or request for an extension changed from April 15 (April 18 in 2017) to March 15. The partnership filed Form 7004 to request an extension of time to file by the date that would have been timely before the amendment made by the Surface Transportation Act and files the return with the IRS and furnishes copies (or Schedules K-1) to the partners by the 15th day of the ninth month after the close of the partnership’s tax year (September 15, 2017, for calendar year partnerships). If the partnership files Form 1065-B and was required to furnish Schedules K-1 to the partners by March 15, 2017, it must have done so to qualify for the penalty relief. Notice 2017-71, which amplifies, clarifies, and supersedes Notice 2017-47, provides that additional acts, such as the making of various elections, of partnerships, REMICs, and certain other entities made by the date that would have been timely prior to amendment by the Surface Transportation Act are treated as timely. An earlier release provided this relief only to taxpayers whose taxable years began and ended in 2016, but the revised guidance also applies to fiscal-year filers whose taxable years began in 2016 but did not end until 2017. Please contact the office if you need further clarification. Getting all of your accounting tasks done in December is always a challenge. Besides the vacation time you and your employees probably took for the holidays, there are those year-end, “Let’s-wrap-it-up-by-December-31” projects. Besides paying bills and chasing payments, submitting taxes and counting inventory in December, there’s another item that should have been on your to-do list: creating end-of-year reports. If you didn’t get this done, it’s not too late. It’s important to have this information as you begin the New Year and QuickBooks can provide it. Figure 1: QuickBooks’ Report Center introduces you to all of the software’s report templates and helps you access them quickly. Budget Overview is just what it sounds like: a comprehensive accounting of your budget for a given period. Profit & Loss Budget Performance is similar to Budget vs Actual. It compares actual to budget amounts for the month, fiscal year-to-date, and annual. Budget vs. Actual Graph provides a visual representation of your income and expenses, giving you a quick look at whether you were over or under budget during specific periods. You’ve probably been watching your income and expenses all year in one way or another. But you need to look at the whole year in total to see where you stand. This graph shows you both how income compares to expenses and what the largest sources of each are. It doesn’t have the wealth of customization options that other reports do, but you can view it by date, account, customer, and class. 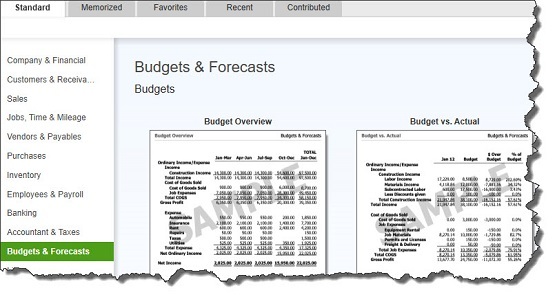 Figure 2: QuickBooks’ report templates offer generous customization options. Which customers still owe you money from 2017? How much? How far past the due date are they? This is a report you should frequently be running throughout the year. Right now, though, you want to clean up all of the open invoices from 2017. A/R Aging Detail will show you who is current and who is 31-60, 61-90, and 91+ days old. You might consider sending Statements to those customers who are way past due. January is a good time to take a good look at what sold and what didn’t in 2017 before you start placing orders for 2018. Make sure you watch this closely throughout the year because looking at monthly and annual totals will help you identify trends–as well as winners and losers. QuickBooks offers some reports in the Company & Financial and Accountant & Taxescategories that you can create, but which really require expert analysis. These include Balance Sheet, Trial Balance, and Statement of Cash Flows. You need the insight they can offer on at least a quarterly basis, if not monthly. If you need assistance setting up a schedule for looking at these, please contact the office. All employers – Give your employees their copies of Form W-2 for 2017 by January 31, 2018. If an employee agreed to receive Form W-2 electronically, post it on a website accessible to the employee and notify the employee of the posting by January 31. Employees – who work for tips. If you received $20 or more in tips during December 2017, report them to your employer. You can use Form 4070, Employee’s Report of Tips to Employer. Individuals – Make a payment of your estimated tax for 2017 if you did not pay your income tax for the year through withholding (or did not pay in enough tax that way). Use Form 1040-ES. This is the final installment date for 2017 estimated tax. However, you do not have to make this payment if you file your 2017 return (Form 1040) and pay any tax due by January 31, 2018. Farmers and Fisherman – Pay your estimated tax for 2017 using Form 1040-ES. You have until April 17 to file your 2017 income tax return (Form 1040). If you do not pay your estimated tax by January 16, you must file your 2017 return and pay any tax due by March 1, 2018, to avoid an estimated tax penalty. Employers – Federal unemployment tax. File Form 940 for 2017. If your undeposited tax is $500 or less, you can either pay it with your return or deposit it. If it is more than $500, you must deposit it. However, if you already deposited the tax for the year in full and on time, you have until February 12 to file the return. Farm Employers – File Form 943 to report social security and Medicare taxes and withheld income tax for 2017. Deposit or pay any undeposited tax under the accuracy of deposit rules. If your tax liability is less than $2,500, you can pay it in full with a timely filed return. If you deposited the tax for the year in full and on time, you have until February 12 to file the return. Certain Small Employers – File Form 944 to report Social Security and Medicare taxes and withheld income tax for 2017. Deposit or pay any undeposited tax under the accuracy of deposit rules. If your tax liability is $2,500 or more from 2017 but less than $2,500 for the fourth quarter, deposit any undeposited tax or pay it in full with a timely filed return. If you deposited the tax for the year timely, properly, and in full, you have until February 12 to file the return. Employers – Social Security, Medicare, and withheld income tax. File Form 941 for the fourth quarter of 2017. Deposit any undeposited tax. If your tax liability is less than $2,500, you can pay it in full with a timely filed return. If you deposited the tax for the quarter in full and on time, you have until February 10 to file the return. Employers – Nonpayroll taxes. File Form 945 to report income tax withheld for 2017 on all nonpayroll items, including backup withholding and withholding on pensions, annuities, IRAs, gambling winnings, and payments of Indian gaming profits to tribal members. Deposit any undeposited tax. If your tax liability is less than $2,500, you can pay it in full with a timely filed return. If you deposited the tax for the year in full and on time, you have until February 12 to file the return. Employers – Give your employees their copies of Form W-2 for 2017 by January 31, 2018. If an employee agreed to receive Form W-2 electronically, post it on a website accessible to the employee and notify the employee by January 31, 2018. Businesses – Give annual information statements to recipients of certain payments made during 2017. You can use the appropriate version of Form 1099 or other information return. Form 1099 can be issued electronically with the consent of the recipient. This due date only applies to certain types of payments. Individuals – who must make estimated tax payments. If you did not pay your last installment of estimated tax by January 16, you may choose (but are not required) to file your income tax return (Form 1040) for 2017 by January 31. Filing your return and paying any tax due by January 31, 2018, prevents any penalty for late payment of the last installment. If you cannot file and pay your tax by January 31, file and pay your tax by April 17, 2018.